With the sunscreen and beach towels packed, the attention on the annual Winter Music Conference in Miami is fast approaching! 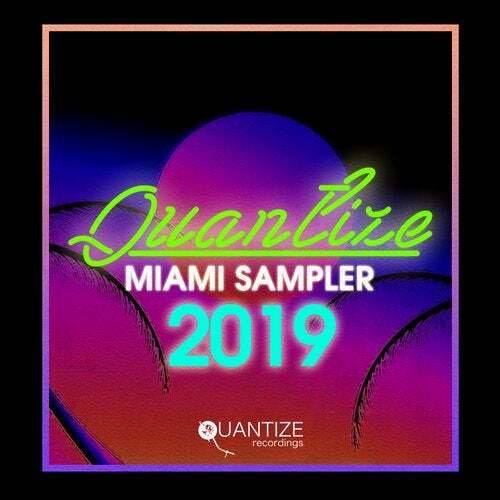 Quantize Recordings has once again pulled out all the stops with our Miami 2019 Sampler, mixed and compiled by DJ Spen. This release is jam-packed & stacked to the ceiling with fire from some serious A-listers. Showcasing the varied sound we're known for, this year's offering features future bangers from Aaron K. Gray, Tracy Hamlin, Beloved, Jihad Muhammad, Sheree Hicks, Greg Lewis & Thommy Davis, Demarkus Lewis, Micfreak, Sahib Muhammad, Gianni Junior and of course DJ Spen & Michele Chiavarini. We really do spoil you! See you on the dance floor. 5. Geoffrey C ?Yo Barnum? 6. Sahib Muhammad ?Make It Last? 7. Cisco Barcelo ?The Night of the Trumpet? 9. Sebas Ramis & Tutsi Girl Play House "Heartbreaker"
Mastered by DJ Spen @ Pavement Productions Baltimore, MD.